We cannot emphasise it enough. Breakfast is the most important meal of the day, and not only from a nutritional point of view! To give you a truly pleasurable start to your day, the Hotel du Continent offers a breakfast selection bursting with flavours. This can be served in your room or you can enjoy it in our dedicated breakfast space, with its delightful décor designed by Christian Lacroix. Enjoy your first meal of the day in our dedicated breakfast space! The sparkling colours and inspiring and exotic décor of this room will help to boost your morning energy. Fresh fruit juice, fruit salad, pastries and assorted jams, honey and yoghurts will get you ready to tackle another day of sightseeing or shopping. Want to hang out under the quilt and stay in your pyjamas? Ask our room service to bring your breakfast to your room! You can enjoy the intimate surroundings of your beautifully decorated room and savour your morning coffee or tea in absolute peace and privacy. Indulge your daily rhythm! All the delicacies of the buffet, including breads and pastries, will come to you. 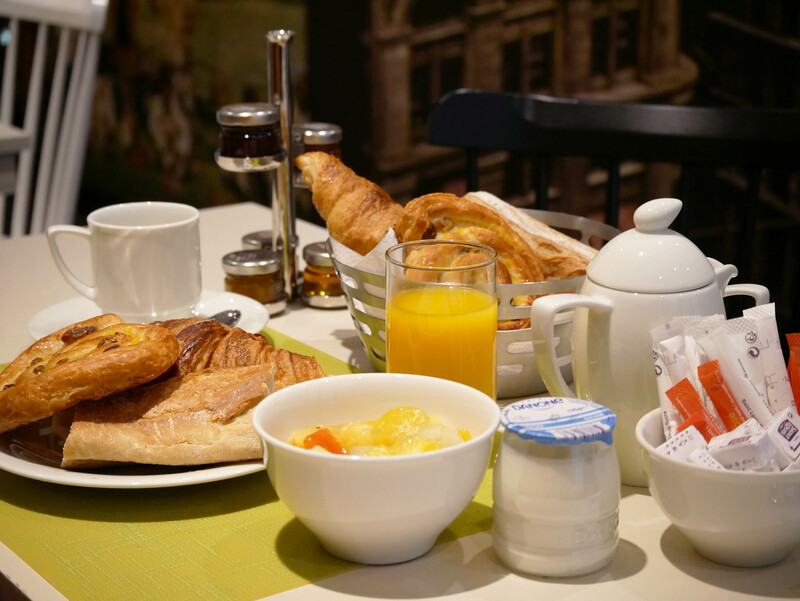 For 12 euros, the Hotel du Continent has designed a breakfast full of flavours and goodness, using only the kinds of fresh and high-quality food items that are synonymous with French mornings. Enjoy it where you want, in your room or in our dedicated breakfast space. Start your day in the most Parisian way!